At Plastic Surgeons of Lexington, we regularly treat patients from all over the world. These patients choose to travel to Lexington due to our reputation for providing an unparalleled patient experience and exceptional plastic surgery results. We encourage you to take advantage of our luxurious, state-of-the-art office environment and discover the beautiful outcome that can be achieved when you work with our world-renowned board certified plastic surgeons. If you are an out-of-town patient and would like to set up an in person consultation, please call our Lexington, Kentucky plastic surgery office at 859-276-3883. Our office is located just 15 minutes from Blue Grass Airport in Lexington, making it easy to get to our office after your flight. We recommend that our out-of-town patients stay at the Campbell House, a Hilton Honors hotel. We have arranged a discount with this hotel for our out of town patients. Discounted reservations may be made at The Campbell House by calling 859-255-4281. Let the reservation clerk know that you are a patient of Plastic Surgeons of Lexington and ask for our discounted rate. You can also book online here. 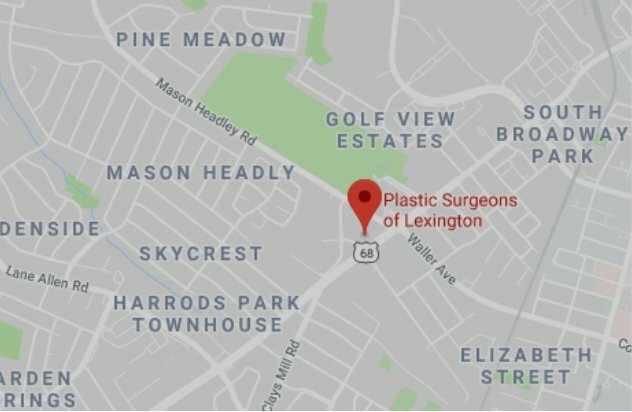 Please contact Plastic Surgeons of Lexington using the form on this page or call 859-276-3883 today to learn more about our out-of-town patient services.